I have always loved Christmas pudding and the aromas that fill the kitchen when cooking, really get you into the festive spirit. 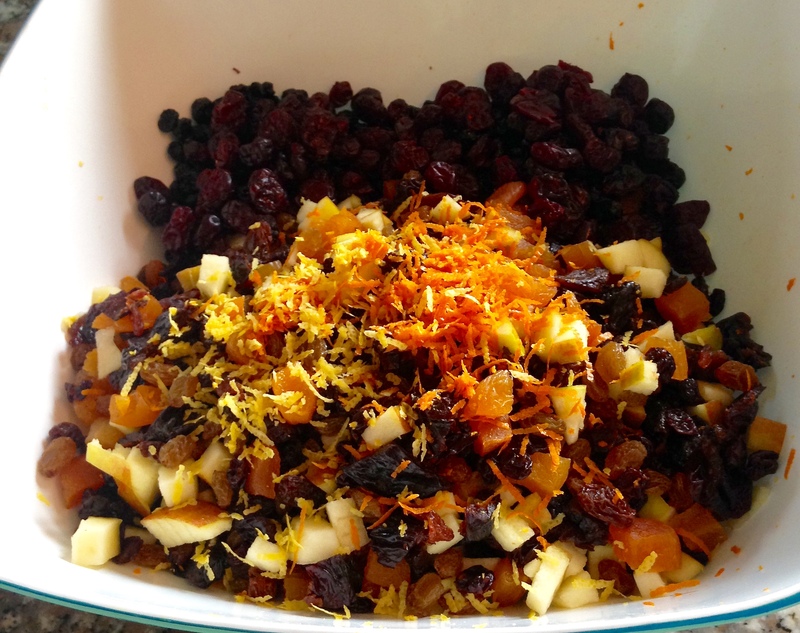 I decided to create my own recipe packed with dried fruit I love to eat as I am not a fan of mixed peel. 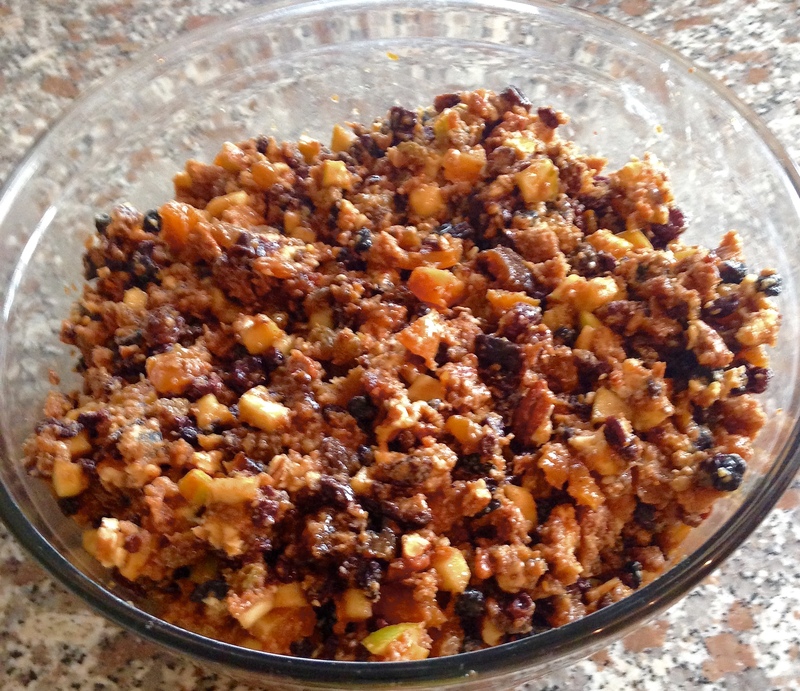 This pudding can be made a few days before Christmas but ideally is best made in advance. The flavours mature over time -if well wrapped up and stored in a cool dark place- it will keep for a year. Simply add teaspoon of brandy once a month to ensure it doesn’t dry out. 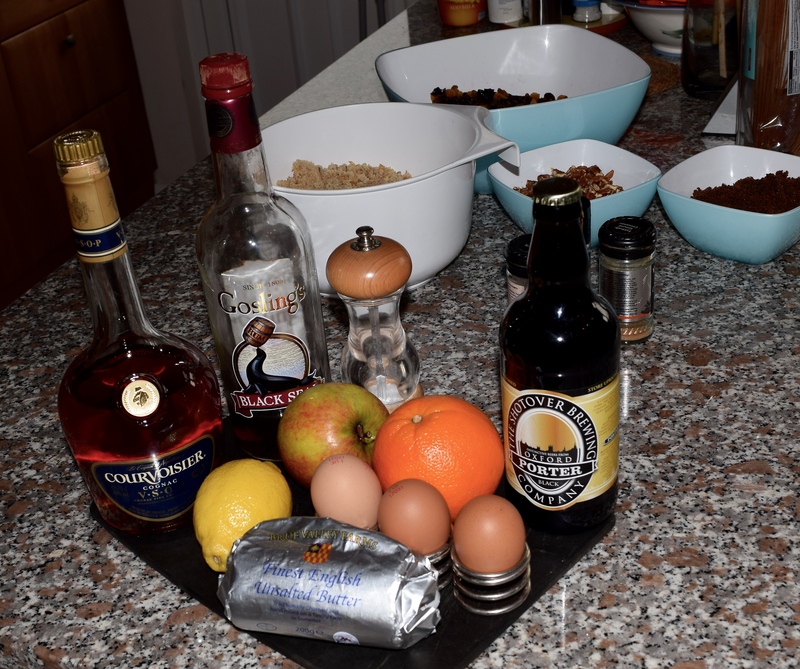 I sometimes double up the recipe and make one for the following year – that’s planning in advance! This recipe is vegetarian and can also be dairy free substituting the butter for a dairy free baking spread. My time saving tip is to cook in the microwave but if you prefer you can steam in the traditional way. Cover with cling film and pierce film several times. Put on a microwavable plate and microwave each pudding for about 12 minutes on full power. I suggest cook for 3 minutes, then allow to stand for 2 minutes, then repeat four times. Check that the centre is cooked using a skewer, the texture should be slightly firm but still moist. Cover each pudding with a large square of greaseproof paper that covers and overlaps top. Then cover with large square of foil that overlaps. Tie tightly with string with long ends to tie into a loop to form a handle. Stand puddings in a large deep pan and pour boiling water around them until half way up. Cover the pan and boil for 7 hours, regularly topping up the water. Leave to cool, put a circle of greaseproof paper on the top and wrap tightly in cling film. Store in a cool dry, dark place. If making in advance check every month and add 2 teaspoons of brandy and re wrap. Microwave for 2-3 minutes on full power or steam for 2 hours. To serve, place pudding on a large plate. Heat 3 tablespoons brandy until warm, pour over the pudding and flame. Flaming and fabulous Christmas pudding – the festive finale. Looks like the master piece of Christmas delights! Bravo. Thanks Jacquie the family enjoyed it at our Xmas dinner yesterday. 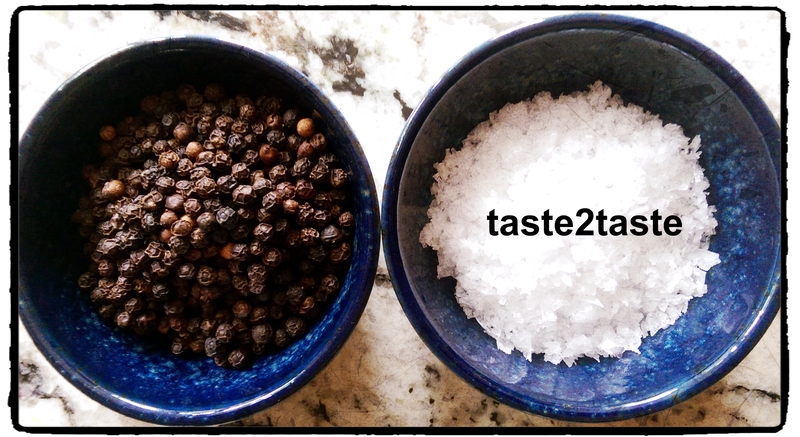 Please check out our taste2taste Instagram to see me flaming it before serving. Enjoy Boxing day and the rest of the holidays. We will be posting more recipes in the next few days. The porter in my recipe is actually a dark brown or ‘old bruin’ style of beer similar to Guinness which is a stout. You can use any dark beer but I would not use Port as the quantity would be too high if you replaced the porter. If you did want to use port you could use instead of the brandy or rum. I hope this helps- please let me know if you have any other queries.